What does it mean to be in an “awakened state of love”? 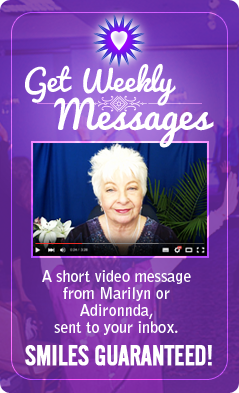 Marilyn Harper shares her personal experience of this in the video below. Last month, I spoke, I delivered the sermon at the traditional Disciples of Christ Church. Yes! Now, they’re probably not savvy enough to find my website. Maybe they are, I don’t know. However, what I discovered is that my message, our message, Adironnda’s message, and their message is ultimately the same. There’s only a little difference in the verbiage. I have heard from Master Yeshua that, “he didn’t save us from our sins, He taught us how to live without sin,” free of that. It’s a little different. My grandfather was a United Brethren minister. My father might as well have been. And yet, they loved me and tried not to judge me. That’s what Jesus, Yeshua, taught. So remember, as you are traveling through your world and looking out at the people that you are experiencing, it’s not us and them. 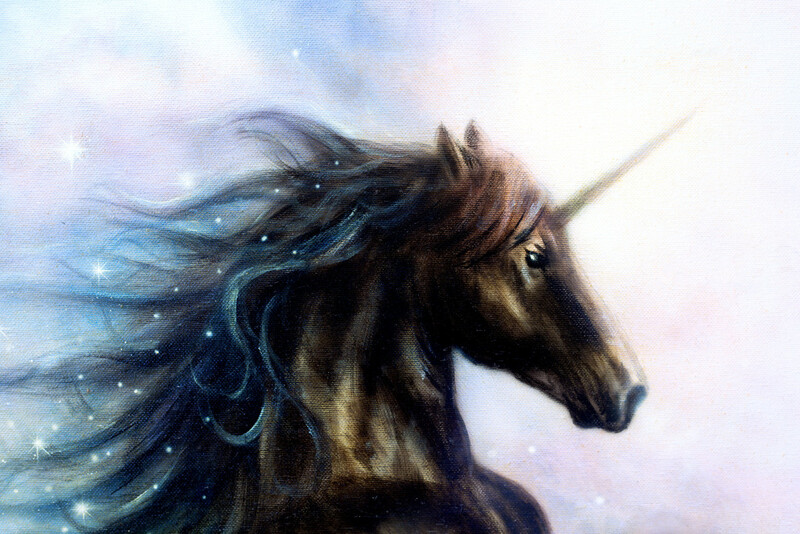 You are not the unicorn in the room. Well, you may be, but so is everyone else. Maybe I am, I don’t know. Which side is that on? It’s a side unicorn. You see, this time that we’re living in is so exciting; because people from all over the world are awakening. I went to a traditional church last month as well, and they had changed all of the words in the hymns that used “Father” to “Creator.” That’s powerful. 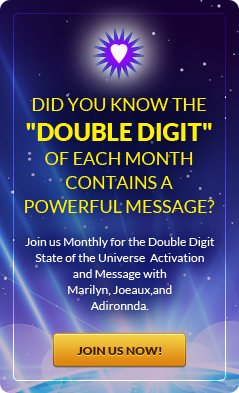 We mention that on our Double Digit activation on 4/4. It was really cool. Not a member of our Double Digit family? You see, if the traditional religions of the world can awaken, and they are! Everyone can. And by your own belief that there’s a separation between those traditions, you’re creating it! You’re part of the problem. So instead, feel what it feels like for the traditions to awaken to this new world. Breathe into that. To feel what it feels like in your emotional body to have the world live in an awakened state of love… take a deep breath. Put your hand on your heart. It causes me to feel giddy when I breathe into the possibilities of the world living in an awakened state of love. Can you imagine it? 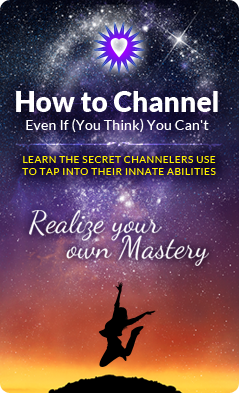 Talk to me about your Awakened State of Love… What does that mean to you?